A very pretty Edwardian sterling silver antique locket in a shield shape with a raised design in applied rose gold. 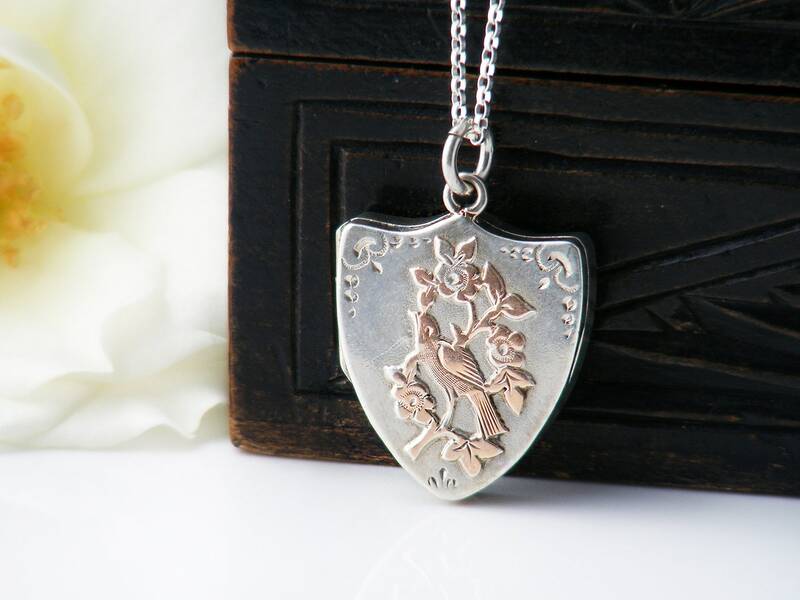 Forget-Me-Nots and a sweet little bird make this is a lovely sentimental locket, perfect for a bride. Sterling silver with full hallmarks for England, the City of Birmingham and the year 1906. The maker's mark 'SBROS' is also visible. This is the mark of Sydenham Brothers, in business in Birmingham from the late 1800s. The suspension ring is also sterling silver. 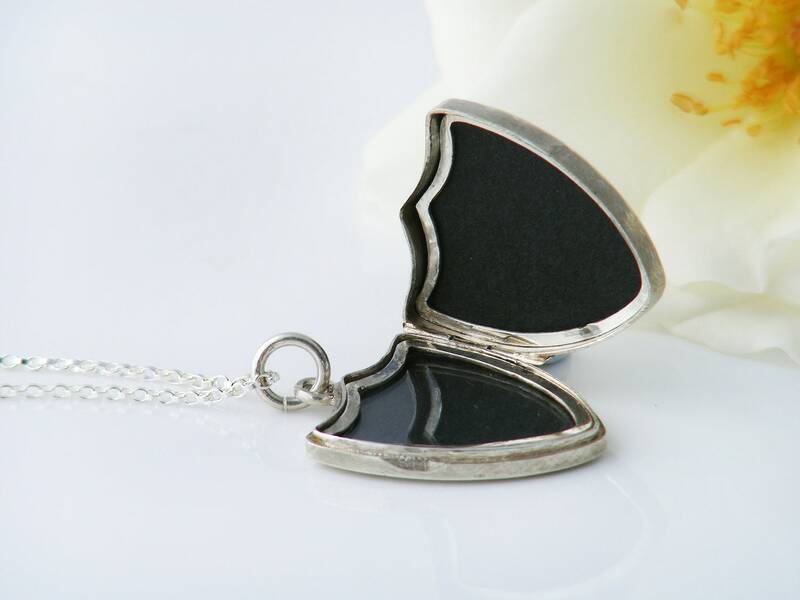 The locket hinges on the side and opens towards the back. There are two photo rims to the inside, one with the original very fine glass cover, both with new black card liners. The shield measures .75 x .85 inches (19 x 22mm) and is 4mm in thickness. 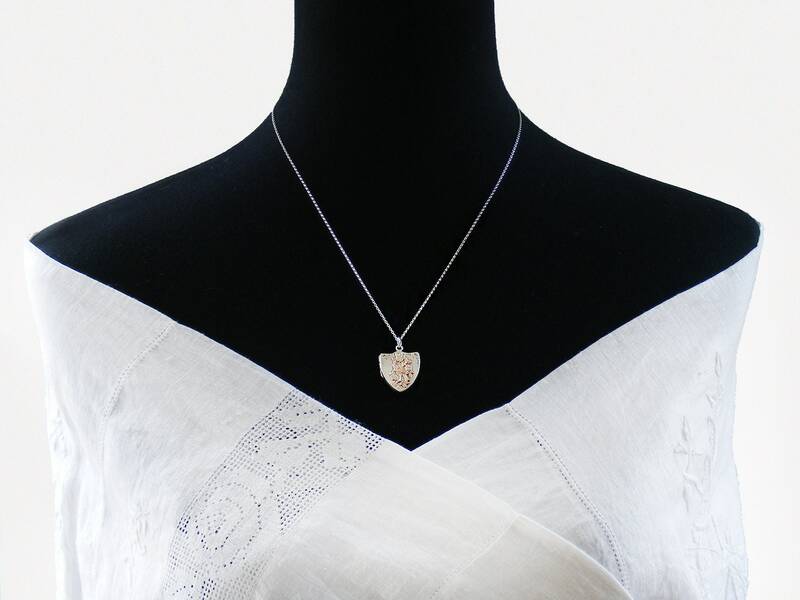 Locket and chain are shown on a life size torso in image #3. 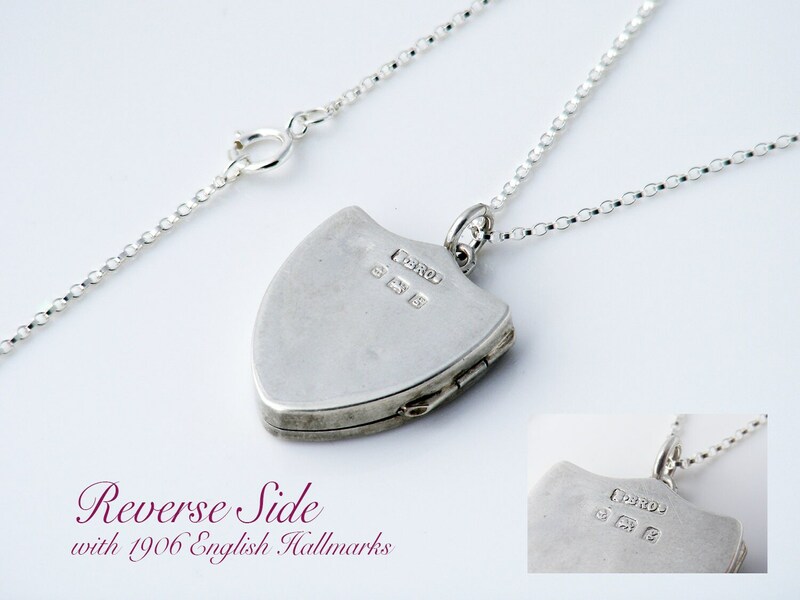 Presented on a new 20 inch or 51cm sterling silver chain, stamped 925 to the clasp. Age: 1906 113 years of age. Condition: very, very good. The beautiful integral hinge is strong and working perfectly, the locket closes with no gaps, a nice snug fit. Softly worn and beautifully smooth to handle - there are several minuscule marks to the back as seen in image #4, they do not detract from this beauty. Lovely natural patina to the silver. Note: it is unusual it find the glass photo cover still intact - these are wafer thin and usually long gone! 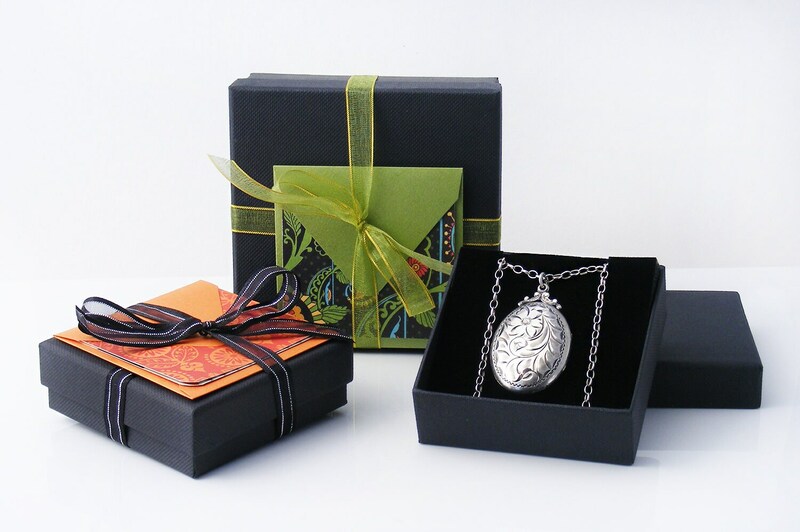 The Forget-Me-Not flowers and bird to the front of this locket are delightful - perfect for a bride!